Gaming has been a part of my life since before I could even remember picking up an Atari 2600 controller and playing Combat sometime in the mid-80s. For a while gaming was more or less like any toy, something I liked but wasn’t my main focus or hobby. But when my parents finally got us our long awaited Super NES (and thanks to a little bit of gift trolling from my dad) gaming truly started to become the one hobby to rule all hobbies in my life. It was the time I started reading gaming magazines regularly and became aware of the greater gaming world outside my little hometown in rural North Dakota. To this day it remains the system I have the most fondness for and while I keep up with the modern gaming as well, my growing collection of SNES games remains the pride of my collection with 154 Super NES and Super Famicom games as well as Virtual Console games. Not to mention my Analogue Super Nt breathing new visual and audio life into it as well. This was an odd one for me to like at the ripe old age of 10. Most of my gaming life had been platformers and brawlers, sims were a strange world unknown to my young mind. But as I would learn 6 or so years later with Harvest Moon 64, sims are extremely addictive. I couldn’t tell you how many cities I built trying to create that mythical Metropolis and get that Mario statue. I never could. But still what a trip. Nintendo took what was a rather dry, albeit addictive, game and gave it personality. I don’t know if Maxis took some cues from Nintendo but you know much of what Nintendo introduced seemed to be implemented into later titles. Having assistants like Dr. Wright, touches of humor (Maxis really loves them llamas), music, seasons are just some of the things Nintendo brought into the mix. I have read that Will Wright and Shigeru Miyamoto did some collaboration on the SNES SimCity so it is entirely possible. One of two games on this list that wasn’t a big part of my childhood SNES collection. Granted I was never a huge Castlevania fan back then so while it looked neat I never really felt compelled to go play it. When the Wii came out and the VC was introduced, this was one of the first titles I had to try. And boy do I regret not playing it sooner. For one I feel this is the best Castlevania, bar none. The graphics are beautiful (I’m a total mode 7 mark so all those effects going off tickles me in the best way), the music is legendary and the gameplay is arguably the best in the franchise. It just plays so right and giving Simon whip control gives the player so much more options while maintaining a pretty steady challenge. It might not be the hardest in the franchise but I feel the more balanced gameplay makes it the most satisfying for me. Hey, were you a child in the late ‘80s? Were you a cartoon fan? Well, you were probably a Ninja Turtles fan. If not, you are a heathen. But anywho, the Turtles were huge. The legendary cartoon (and that theme song I can still sing by heart to this day) spawned a couple great movies (What, you say there were 3 movies? Liar!) and a lot of video games in arcades and especially on consoles. There was also a live musical but the less said about that the better. The first arcade game in particular is a legendary brawler made by Konami in their heyday and every kid who got their parents to take them to Chuck E. Cheese or whatever arcade they could would immediately play this. 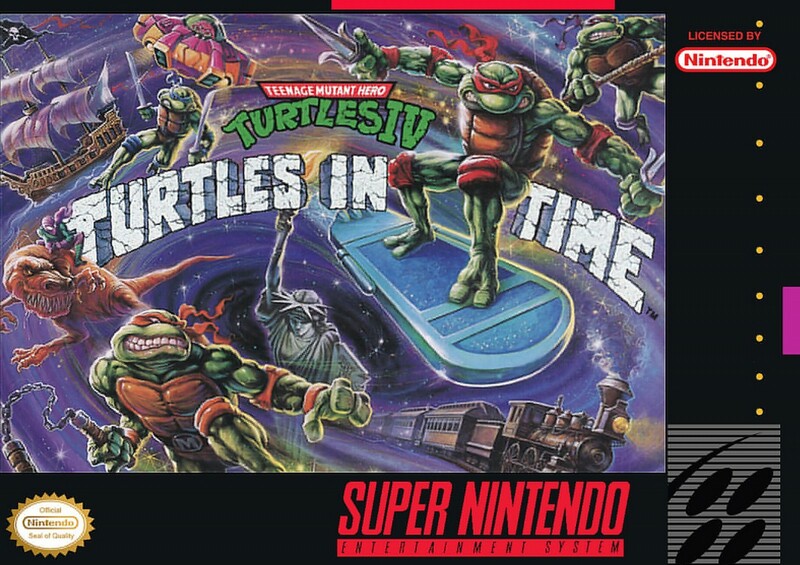 Unfortunately, the NES wasn’t quite capable of replicating the true arcade experience but the follow up arcade game Turtles in Time would get one of the best ports ever for the SNES. I honestly didn’t even know it was an arcade game at all till years later and honestly I think the SNES port, minus no 4 player and less animations, is a better game. The levels are a little longer, the boss fights are better with Slash replacing Cement Head and Bebop & Rocksteady getting an awesome pirate gimmick boss fight. Also an extra stage, the Technodrome, with an awesome boss fight where you have to use the screen throw gimmick to damage The Shredder’s mech thing. Also Super Shredder at the end is a total badass. The gameplay is fast and fluid and throwing Foot Soldiers around is awesome. The music though is truly spectacular. I could listen to this soundtrack for days and “Bury My Shell at Wounded Knee” is a particular favorite. This is easily the best brawler on the SNES and maybe on a console ever and I never get tired of playing it. Is there anything else that can be said about Super Mario World that hasn’t already been said? 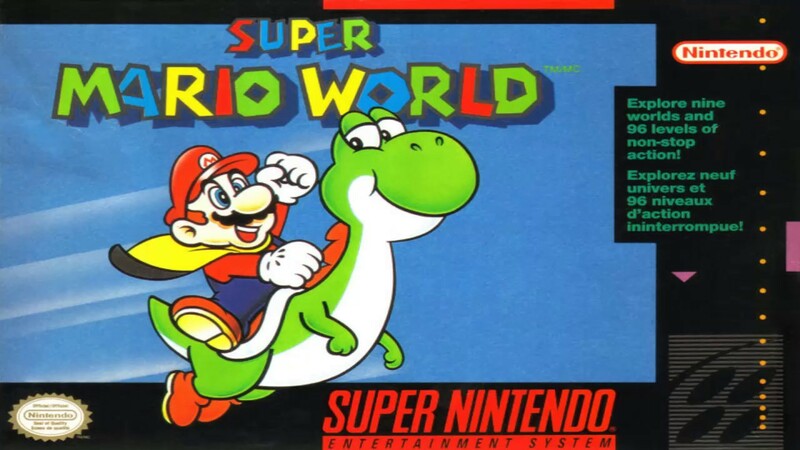 Mario World was probably most SNES players’ first SNES game and being a Mario game was a showcase for what the system was about. Larger worlds, bigger graphics, wonderful music and some of the sharpest gameplay in platformers. Sonic may have got the headlines in 1991 but Mario World I feel has really outlasted it as far as gamers’ memories. The addition of Yoshi brought us one of gaming’s most endearing characters and the use of mode 7 made our eyes wide in amazement. I can’t be the only kid who when fighting Bowser at the end would pause the game as the Clown Car zoomed into the screen for the whole sprite to cover the entirety of the screen. That kind of mode 7 trickery blew my fragile little mind back then, which is why I will espouse the glories of the mode to all who will listen and those who won’t, whether they want it or not. You can’t stop me, you can only hope to contain me. Is there any 3rd party character more associated with Nintendo than Mega Man? I can’t think of one. He had 6 games on the NES from 1987 to 1993 and of course, like any great Nintendo franchise, we wondered how he would appear on the SNES. Shortly after the last Mega Man Classic game was released for the SNES, Mega Man X would be released to shake up the formula with a new Mega Man, faster gameplay and all the other improvements one would expect. For some reason, I missed the first one but X2 hooked me and followed the pattern of the 2nd game of each variation of the franchise to be my favorite. X2 took the greatness of X and added more awesome stuff. You know what I loved? The wireframe 3D effects that Capcom introduced at various points thanks to their own chip. It looked so cool. And while Star Fox had already been out for a bit by then, the smoothness of the models was just so cool. 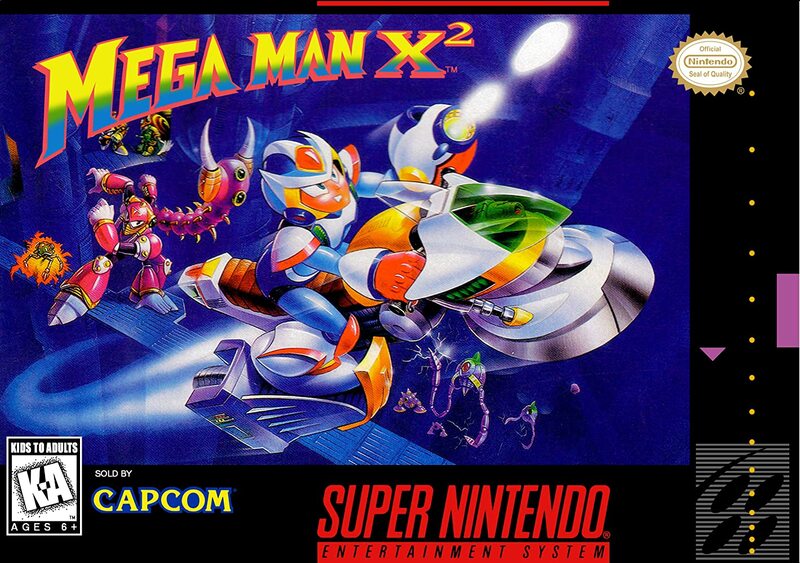 So while not the revolution to the formula that X was or the perfecting of a formula that Mega Man 2 was, it is arguably my most beat game on the SNES as, much like Mega Man 2, it is a short but satisfying game that never gets dull to play even as beating it becomes old hat. Especially when I only have an hour or two to spare or my energy just isn’t there for a much longer game. The Super FX chip is legendary. Not only did it give us the, at the time, amazing visuals of Star Fox, the 2nd version let us play a version of Doom, which knowing now about how much went into Doom just on the PC might make you think the SFX used dark magic to work sometimes. But to me arguably the best use of SFX chip is Yoshi’s Island. Miyamoto, bucking convention, chose to use the SFX2 chip not to attempt a full 3D game but used it to make a game with the best sprite work on the console bar none. All the stretching, warping and zooming in and out as well as the smart use of 3D objects makes it a feast for the eyes. And the wonderful music and gameplay make it all the sweeter. Plus the game introduced us to everyone’s favorite character, Baby Mario. Okay maybe not favorite but I never was all that worried about his cries. Because I’m not silly like that. Yoshi’s games haven’t quite hit the same high note since but the style brought in by Yoshi’s Island has still enjoyed a long and enjoyable life. 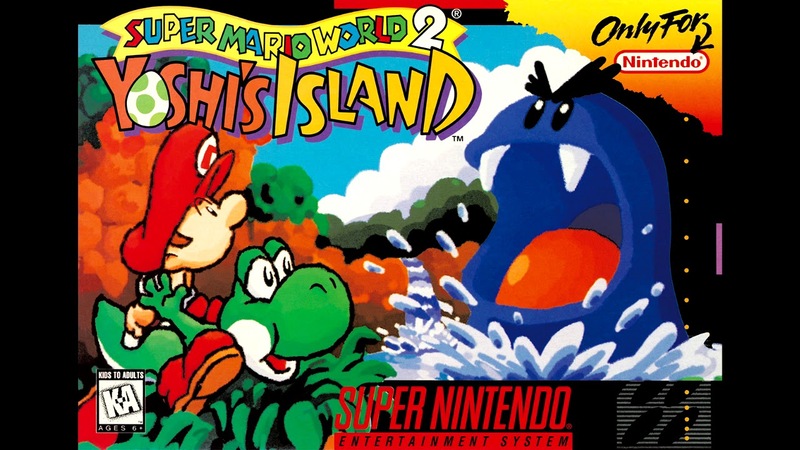 Yoshi’s Island also ran right against the popular “M-rated” trend with its cute and slower gameplay which made it really stand out when things were becoming increasingly dark and edgy. Playing a game where you are literally babysitting, even for my 13-year-old self, was a joy. You know how Super Mario Bros. 3 took what Super Mario Bros. did and just increased its scope several times over? Well, Donkey Kong Country 2 is the SMB3 to DKC’s SMB. DKC, while a visual splendor, was a solid but simple platformer where you mostly just go from left to right, other than in water levels, with extremely simple boss fights. The secrets weren’t very important outside of getting lives, and otherwise served little purpose. DKC2 took these elements and expanded upon them all. The game went from being a simple left to right affair and became extremely vertical. Bonus areas got a purpose with the Kremcoins, secret levels were added, animal buddies were given extra purpose, Diddy and Dixie despite being similar in some ways added a lot of versatility especially with their buddy attack and basically just upped the ante in every possible way. Did I mention the music is incredible? Some of David Wise’s best work from the beginning to end. “Stickerbrush Symphony” is life. There was a time where Metroid wasn’t on my radar. I played a little on the NES but being young and not owning it, I never made any real headway. Super Metroid I rented but I, for whatever reason, could never wrap my head around how to proceed. Move ahead 8 years. My taste in gaming has expanded since but at that time I was not yet into game collecting or going back to games I missed. Then Nintendo announced Metroid Fusion and Metroid Prime. These would be my gateway into the Metroid franchise as a few years later I started collecting and Super Metroid was on top of that list. 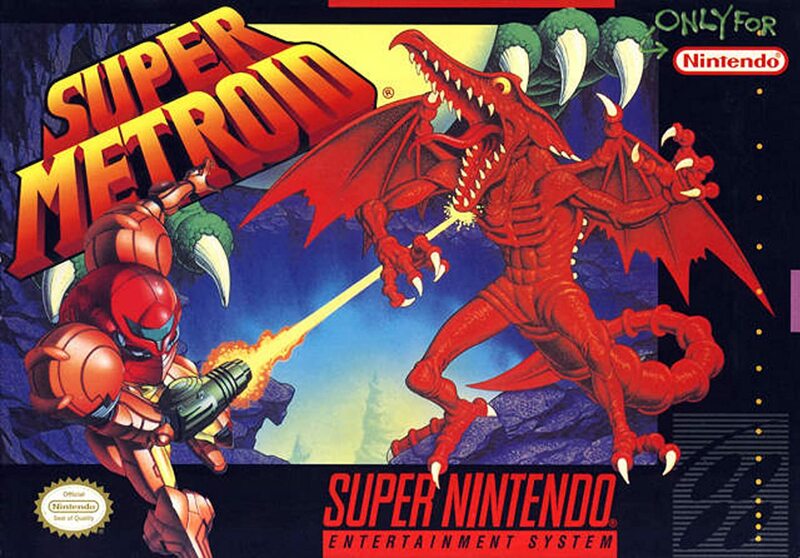 Suffice to say understanding how Metroid works as an adult made me appreciate it ever more. From the perfect controls to the wonderful atmosphere, great graphics and masterful music, it quickly shot up my list of favorite SNES games. There isn’t much to say about this game that hasn’t already been said hundreds of times and better than me. This game rocks and I wish I would have figured it out as a kid, but still, without the nostalgia-tinted goggles for it to be my 3rd favorite SNES game is something. For the longest time, I would have said A Link to the Past was my favorite game on the SNES and all time (now I rank it as my 2nd favorite in both respectively, as well as my favorite game in the franchise). To say I have played this game to death is an understatement. I pretty much have the game down to a formula which doesn’t really allow for much in the way of interesting play. Now it is sort of a game that I just sit back and relax playing. That isn’t to say I don’t still love it. From the amazing rain effects at the very beginning to finally sticking it to Ganon and claiming the Triforce, I always come out satisfied. Like many SNES titles, this is another game that has been analyzed and discussed to death. What has really made me appreciate the game more is that randomizer that popped up a few years ago. Giving me the excuse to explore every inch of the Light and Dark World map again made the game feel fresh and almost new since it opened up new avenues for getting around, especially in the early portions. A Link to the Past set the standard for the franchise moving forward and its influence is still felt to this day. MKII – The game that started the change of Nintendos once strict content policy. Parodius Franchise – While I may not quite get the gags the visuals and gameplay is great. Street Fighter II Turbo – My favorite of the SNES ports. Stands up so well even today. Chrono Trigger – Great game, wish I had gotten to it sooner. Final Fantasy 3 – Yeah I don’t call it 6. Wanna fight? Donkey Kong Country – Such a great intro to a great renewal. NBA Jam TE – Can never get tired of this greatness. Ken Griffey Jr. Presents MLB – Played this to death with my little brother. Star Fox – Blew my mind a bit back then. The Magical Quest Starring Mickey Mouse – A simple but well constructed platformer. Batman Returns – Great brawler. We never speak of Forever. I remember back in spring ‘95 reading my newest copy of EGM reading the previews for the next big games and systems coming up and I happened upon a 2-page spread for a game I had never heard of. Obviously this game was EarthBound and while the review for the game was that of the review viewing it as an oddity (remember this was just after FF3 had just released and Chrono Trigger was on its way, as well as Super Mario RPG a year later) and unique while not exactly giving it a huge amount of praise. But something about the game grabbed my attention. The graphical style obviously and the described offbeat sense of humor, as well. Being as my RPG experience at the time was more or less non-existent for something so out there and under-the-radar to grab my attention, but it probably spoke to me as a person more than anything. I remember renting it and getting pretty far but when I finally got myself a copy, the game really came to life for me. Being able to take my time and really absorb the world made the game an instant favorite of mine. The now legendary Player’s Guide became a regular thing for me to read through just because I liked it so much. And that music. Easily one of the most esoteric sound tracks on the SNES, which covers a wide variety of styles. And on top of it all, the large cast of quirky characters you run across made it an extremely memorable adventure. It is funny that this game was lost to obscurity for the longest time till the mid-2000s when people seemed to really start to discover it and maybe hyped it to be something it isn’t. But for me it was a bit of validation for what I had known for 10 years that EarthBound was amazing and deserving of love. And now that we have a literal genre of EarthBound-likes out there now (but no Mother 3, c’mon Nintendo I want to give you my money!) and EarthBound has solidly become a beloved franchise that a lot of people discovered because the odd addition of Ness into Super Smash Bros. This is a good list. I’d probably go with Yoshi’s Island as my personal favorite. Thanks for the kind words on my first piece. And thanks for Well Red Mage for recruiting me and formatting my piece. It’s a great debut! One thing we can all agree on is the Super NES is SUPER AWESOME! I seriously really love this system, and my original SNES is probably my favorite video game possession. Also, I love that you focused on the system’s technological achievements and its visual capabilities. I never hear that talked up enough. I’m a total mark for mode 7. So it isn’t a big shock that almost all the games on this utilized it some way. But really the stuff they got out of the SNES is awe inspiring. Doom and Street Fighter Alpha 2 are in my view programming miracles even if they aren’t the best way to play the games the fact they got them playing on the SNES and pretty well overall is just astounding. Glad to See FF on Honorable Mentions. Great Series Overall!! !